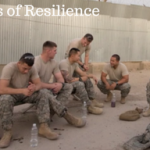 Our mission is to improve the quality of life for veterans and their families. Our Power Breath Meditation Workshop provides breath-based tools that decrease stress, anxiety, and sleep problems; restoring well-being, mental focus, and a renewed sense of connection and purpose. 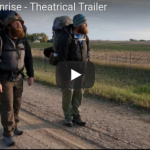 The work of PWHT is featured in the award-winning documentary film Almost Sunrise, aired nationwide on PBS November 2017. Click here to view the upcoming screening dates or learn how to host a screening in your area. I have been able to sleep much better. Feeling clarity, focus and relaxation. I am able to manage stress 110% better. I am emotionally feeling more stable. Feels like I am more grounded, in touch with my feelings, more present. I have the ability to combat stress and clear my mind of clutter. I feel relaxed, unwound, after the breathing exercises. I feel like I can really be happy. I am ready to live my life! I am calmer, more patient and less reactive. I have a longer fuse for anger. I have learned to relax and let things go. I have learned a number of ways to soothe the savage beast. A deeper understanding of my inner self.